My new book hits the shelves! 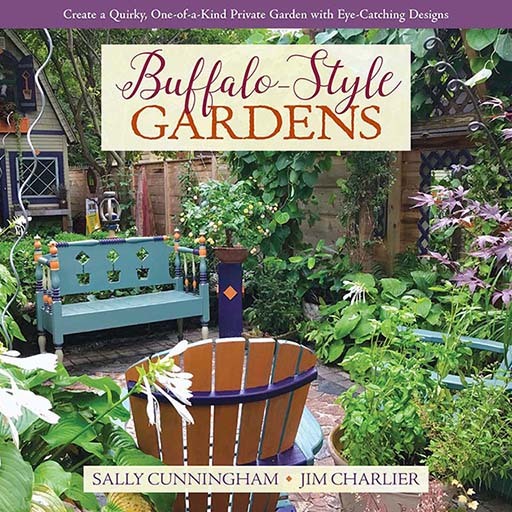 On writing the book, "Buffalo-Style Gardens, Create a Quirky, One-of-a-Kind Private Garden with Eye-Catching Designs." It’s a book on garden design that anyone can use – it’s an attempt at helping non-designer gardeners design a garden that suits them! It does feature the quirky and personal gardens and gardeners of Buffalo Niagara. It will be sold nationwide. No matter your zone, the basics of the design advice does not change – just your plant palette. Okay, it’s not just my book. I did have a co-author. And we had the publishing team at Pittsburgh’s St. Lynn’s Press working with us to make it happen. But it’s the first book with my name on it (though as an art director/designer I’ve designed many other people’s books!). My co-author is Sally Cunningham, CNLP. Sally’s already got a large following in the region, having had a radio garden talk show years ago, TV garden segments on local Sunday news shows for nearly 20 years, writes the garden column for The Buffalo News, is a contributing garden writer to Buffalo Spree Magazine, has written for many publications and contributed to many other garden books, and had written a previous book, Great Garden Companions: A Companion-Planting System for a Beautiful, Chemical Free Vegetable Garden. If you’re going to hitch your wagon to someone, may as well go with the best! Sally and I attended the September 2016 GWA | The Association of Garden Communicators (now GardenComm) annual conference in Atlanta. On the flight there, she proposed writing a book together. I think she had the whole book written in her head before we landed. Our first pitch was based on a theater/drama theme. I designed these comedy/tragedy shovels to use as a logo. Cute, no? Then we prepared a proposal letter to pitch it to publishers that fall. Reputable publishers will have submission information on their website – what needs to be in the book proposal. Ours started out with a theatrical theme (what great garden isn’t somehow dramatic?). We pitched one publisher. It was denied. Through the GWA | The Association of Garden Communicators, of which we were both members, we got to meet Paul Kelly, owner of St. Lynn’s Press. We pitched it to them in April of 2017. It wasn’t an immediate response, there was a bit of “getting to know each other” via conference call. It’s a business relationship, but a successful one is based on personal relationships, trust, and dependability. It helps when you like the people you go into business with. St. Lynn’s Press has published garden books by well-known garden writers Billy Goodnick, Debra Prinzig, Karen Chapman, Kerry Ann Mendez, C. L. Fornari, Kylee Baumle, Brie Arthur, Helen Yoest, Dee Nash, Felder Rushing and many more. Check out their garden book collection here. Our pitch/proposal was a 12-page document including table of contents, how this book is different from other books on the market, author’s backgrounds and social media following, marketing considerations, manuscript length, photos samples, book outline, sample chapter, and much much more. We signed a contract. I won’t go into financial details, but in general terms, there is an an advance offered that Sally and I split. Half at the signing of the contract, the other half when book is printed and delivered. This is pretty much standard for a book of this scale, I’m told by others. It’s a true advance. It’s taken from royalties from the first books sold. Once that advance total is reached, royalties kick in. St. Lynn’s Press offers a slightly higher royalty than other garden book publishers. Sally and I were offered a first, one-time purchase of the books, as many as we could afford, at a huge discount. Those are the books we sell at full retail price at talks and on our BuffaloStyleGardens.com website. After we go through those, we can purchase books at the wholesale cost to sell, same as a bookstore. There was no room for negotiating, really. Margins are slim for everyone in the publishing world. Do you know who makes the most money on a book? The retailer where you purchase it. Neither Sally nor I will become rich. I intend to put my annual royalty check straight into my SEP (a 401K for the self-employed). As long as we keep up the marketing, the book should sell. By September of 2017, we were plugging away at refining chapters, outline, and table of contents. Paul visited Buffalo and met with some of the organizers of Garden Walk Buffalo, Gardens Buffalo Niagara, and Sally and me in March of 2018. After some cogitating, he told us, what we sort of already knew, that we have something special going on here in Buffalo. It’s a movement, of sorts, in the realm of gardening that mixes creativity, enthusiasm, promotion, community, and design by non-designers – we’d developed not a consistent visual style, but a style of approaching garden design. The results? Buffalo gardens are intimate, familiar, comfortable, and personal. They’re special. Just like each gardener. After that meeting, Paul suggested (with some back and forth), we title the book Buffalo-Style Gardens, Create a Quirky, One-of-a-Kind Private Garden with Eye-Catching Designs. Paul, and book designer Holly Rosborough, did come to visit during Garden Walk Buffalo weekend and were even more sure of the book’s direction. Nothing like 60,000+ garden gawkers–wondering how they could do the same in their own gardens–to get a garden book publisher to see potential. Sally did write a majority of the book, but nearly all photos are mine. The way we worked was that we sat down and “sketched” out what needed to be covered in the book, broke that down into chapters and started fleshing them out. Sally would take a first pass on the chapter writing on topics of which she is intimately familiar – site planning, design features, making your garden personal, and the horticulture. And I would take a first stab at other chapters, like bits on Buffalo’s gardens, collections, art, and themes, and gardening for the greater good/how gardening transforms communities. We both wrote different sidebars seen throughout the book with some personal experience or expertise. We’d run our chapters and sidebars by each other for comments, critiques, concerns and anything else we thought we needed. Each chapter starts with a full-page photo of a Buffalo garden. It didn’t become a book until St. Lynn’s Press’ editor Cathie Dees got a hold of it. Cathie organized our thoughts, rearranged, cajoled, edited, ripped apart and put together again, found ways to politely say “You’re nuts if you want to do that.” and generally held us by the hand as it was fashioned into a cohesive, comprehensive whole. Then we were off to the races writing and throwing chapters at each other. Bouncing them between Sally, Cathie and myself. Who’d have thought that keeping track of draft versions would be the worst part of writing a book. Cathie kept us straight. How she does what she does is a a mix of experience, skill, social work, writing, mind reading, and magic. Favorite gardens from around the Buffalo Niagara region are featured – and one from each North Carolina (Christopher!) and Alaska. And I’ve since found out that using Dropbox for file exchanging is Sally’s kryptonite. It’s her single weakness. But we were able to work around it. though I think she now has the top-end Dropbox account and doesn’t know where it is, or what her password is. Or why we even needed it. Or how to get rid of it. And then it was photo-choosing time. I have around 65,458 garden photos. Give or take. The best thing book designer Holly told me was how many photos I could have, roughly, per chapter. The primary goal was obviously to have photos that illustrated the points being made in the text. The next criteria was to feature as wide a variety of gardens as we could. Useful call-outs and sidebars give bite-size bits of horticultural and design wisdom. It could be argued my own garden shows up too much in the book. I did give the publisher four photos of different gardens to choose from for the cover. Lo and behold they chose the one photo I submitted of my own garden! Cover choice has more to do with shelf-appeal, marketability, legibility, and distinguishable from other garden books. My shed, just the corner of it, made into the photo. It was not more fully featured because the book is about relatable projects a gardener can do on their own. And my shed is not an easily approachable weekend project! Holly was great when she’d say I could have 15 photos in a particular chapter and I gave her 78 to choose from. That was for plausible deniability. If your garden didn’t make it in there, or your garden photo could have been used larger, I can blame it on Holly. (Sorry Holly, you’ll be my scapegoat!). I created Retail Sales Flyers for garden centers and gift shops that would not normally have a book distributor. Sally and I did talk first to friends that had written books about the process (thanks Kylee & C.L, and Maria!). And so many garden blogging and book-writing friends and acquaintances have been so wonderful with support, suggestions, and kind words – as in the book’s endorsements (found here) that were made before the book was even completed. It was tough to ask other garden writers and influencers to endorse a book they hadn’t seen, but it’s done on the trust they have in you. I’ve written endorsements for others. Thanks to the dozens of pros that wrote endorsements for us! So our first deadline was in May of 2018. We missed it. Our second deadline was Labor Day. We missed it. We did hit the last deadline, in late November, that we had to hit in order to have a book by February. Paul is patient. Holly is a saint. So books were delivered the third week of January, 2019. 31 months from concept to completion. A team of five (plus spousal support!). If you’d like to read the introduction, you can find it here. Now we have the work of selling them. I created a Speaker Bio for Sally. I still have to do mine! I have books in hand. To date, we’ve pre-sold about 100 signed copies online on the BuffaloStyleGardens.com website, as well as here on my blog. 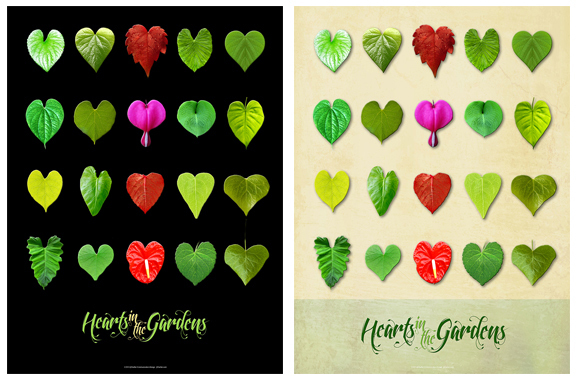 Gardens Buffalo Niagara has pre-sold about 130 on their online store. They retail for $24.95 (basically $25 for Garden Walk Buffalo’s 25th anniversary!). They are currently working their way through the “system” to bookstores and libraries nationwide (if your local bookstore or library doesn’t have one–request it!). If you have a gift shop or garden center, order books here (they come in cartons of 20). Here is the flyer for retail sales (other than bookstores). Marketing-wise (since that’s what I do for a living) I’ve set up a website here (find us! 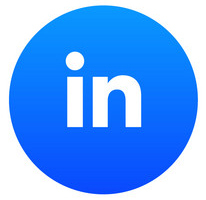 ), a Facebook page here (friend us! ), and an Instagram page here (follow us!). The publisher has sent out press releases to national and local media. Media coverage has already started. Sally and I are also available for speaking engagements and book signings, separate or together, find out more about that here. You can order a book, signed by Sally and me, here on the blog (in the right hand column if you’re reading this on a computer or laptop). Sally’s a great writer and writing partner, Dropbox aside. St. Lynn’s Press is also a great partner. I hope you like our book, all of us worked hard on it. Fascinating article, Jim – the book looks beautiful! This is a wonderful story of how you achieved your dream. The book looks amazing!